This will be my last post for a couple of weeks. 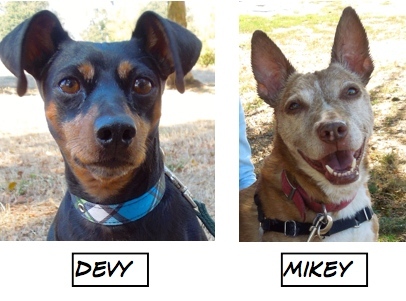 I hope to be able to tell you about many new adoptions in my October 15 issue. 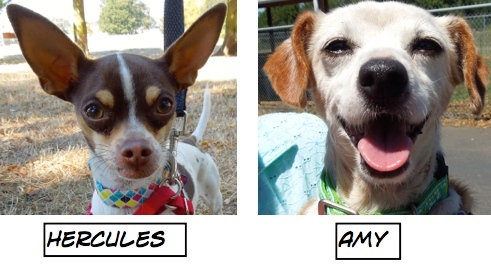 But speaking of adoptions, there were 15 of them during the past week and these were the Blog Dogs who went to new homes. I was especially happy about Mikey and Amy’s adoptions. 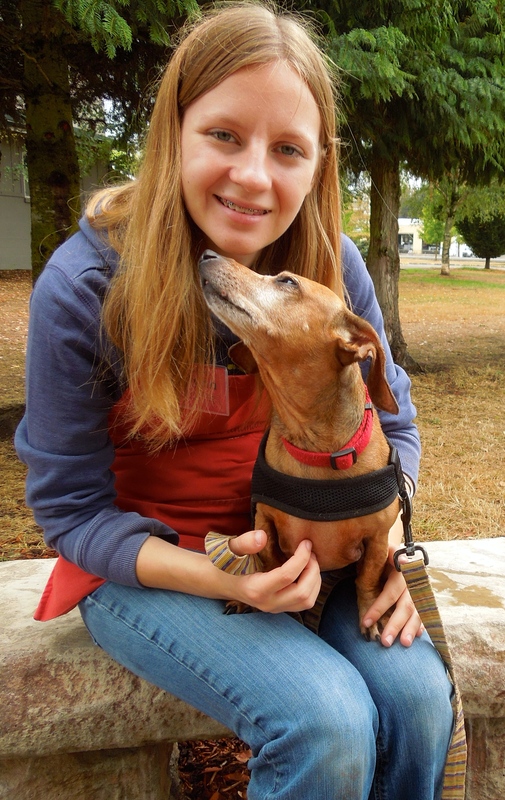 I am always so grateful to people who are willing to take older dogs into their families, knowing that although the time will be shorter than they wish, the gift they are giving to these wonderful dogs is priceless. 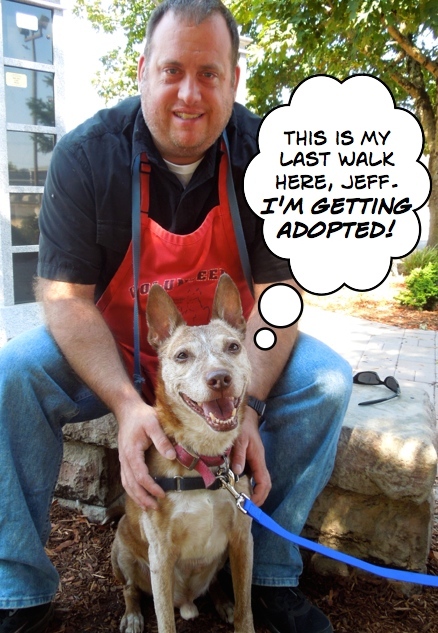 Mikey was pretty excited when he found out he was going home after his walk with Jeff. Here was Amy’s reaction when she found out. WHS staff sent me this going-home picture of Cha Cha. Sunday play group was great fun. 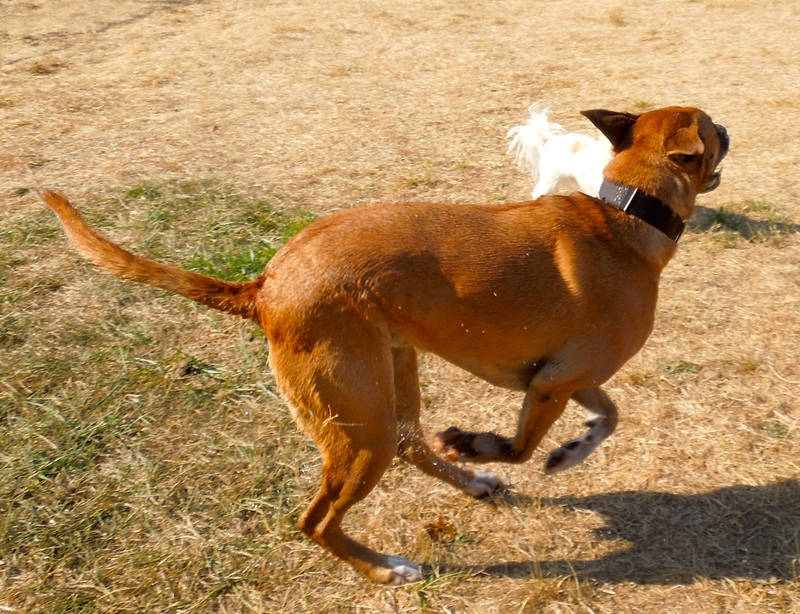 Buddy had his usual happy time romping with his friends. 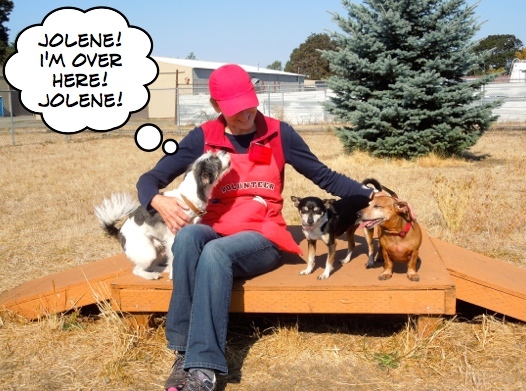 Jolene was kept busy with the little guys. 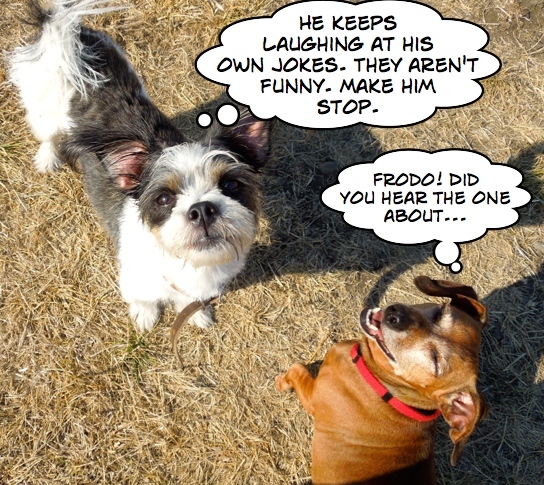 Frodo was quite insistent that he have her attention. Oreo daydreamed as he looked over into the Rough and Rowdy yard. 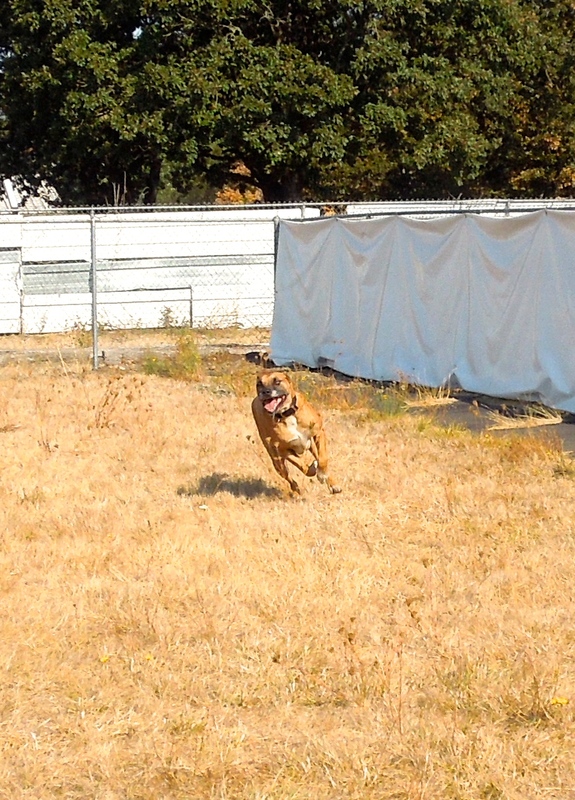 Rocky is a newbie to the shelter and it was such a joy to watch him adjust. 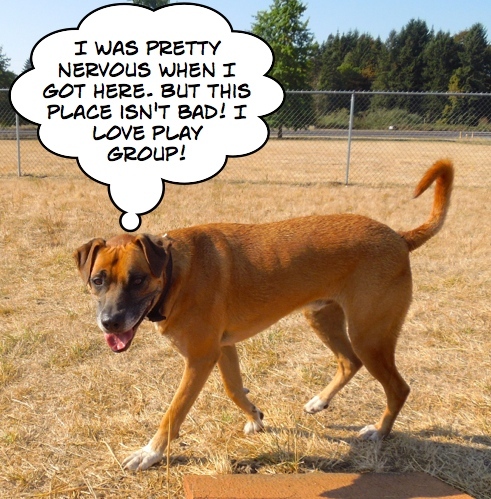 When I first met him, he was extremely shy and nervous, not taking my hot dog bits and not being anxious to go to play group. We put him on the Shy/Little Dog side, stood back, and watched his confidence bloom. 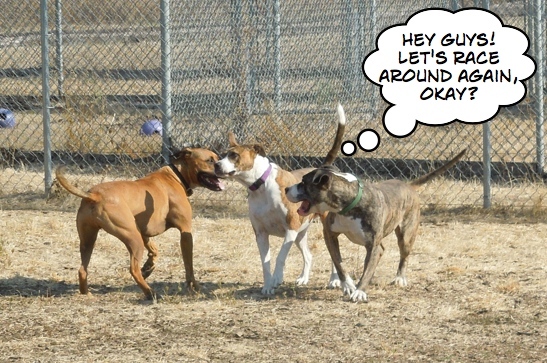 When dogs can’t settle their own disagreements, they often turn to one of us humans for help. Such was the case with Frodo and Oscar. I was pretty nervous when I got here, but I’ve made some great friends already! 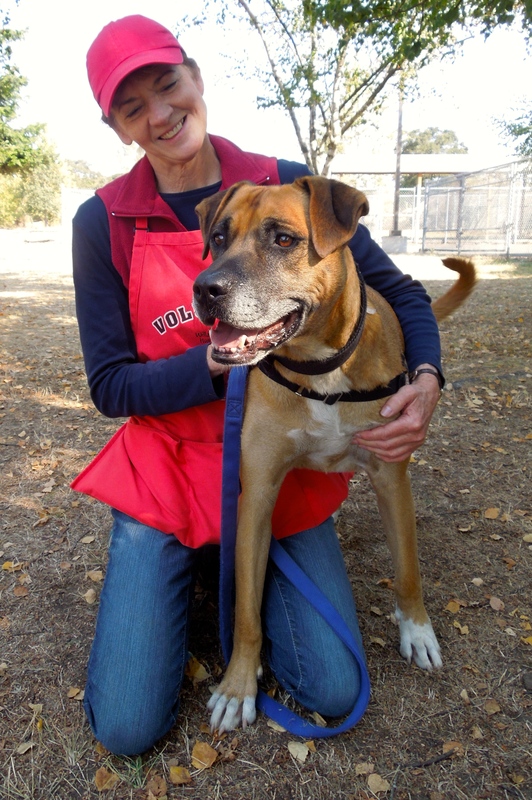 I want to start this week’s adoptables with a newbie, Rocky, a six-year-old Rhodesian Ridgeback/Boxer mix. This boy has it all. 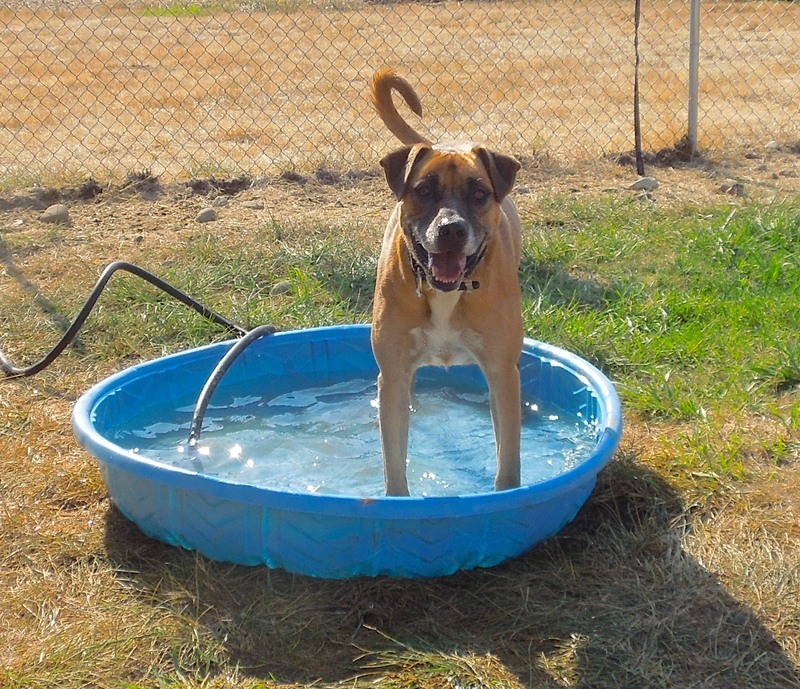 He is smart, well-mannered, knows some commands, loves a pool, and is house-trained. He also is very handsome. 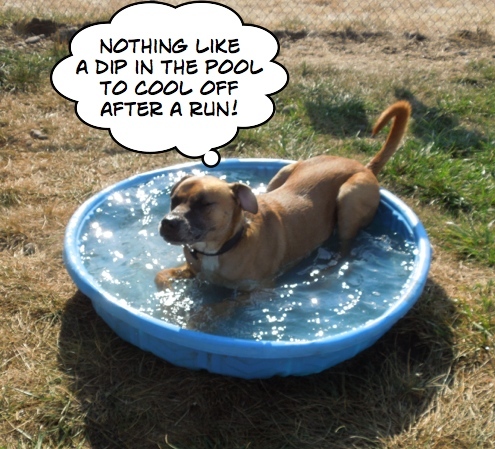 It was such fun to watch him begin to relax and enjoy himself in Sunday’s play group with the little dogs. When we tried moving him to the Rough and Rowdy side, however, he was overwhelmed and quickly showed us he was much more comfortable with the less boisterous group. Here he was with Ian and Jolene. I love this boy! I don’t’ get it. Why am I still here? I don’t get it, either. Little Ginger was surrendered on September 7th. I thought she’d be adopted very quickly, but each day I come to the shelter, she is still waiting. 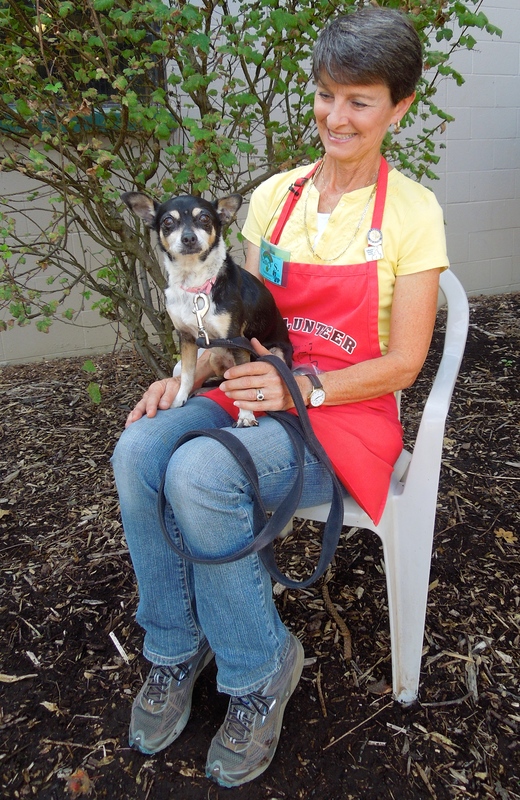 Ginger is a five-year-old, nine-pound Chihuahua mix. She is a little nervous around new situations, so a more quiet home with older children or just adults would be perfect for her. She needs consistency to keep up with her house-training. She has lived with other dogs, but doesn’t care for cats at all. 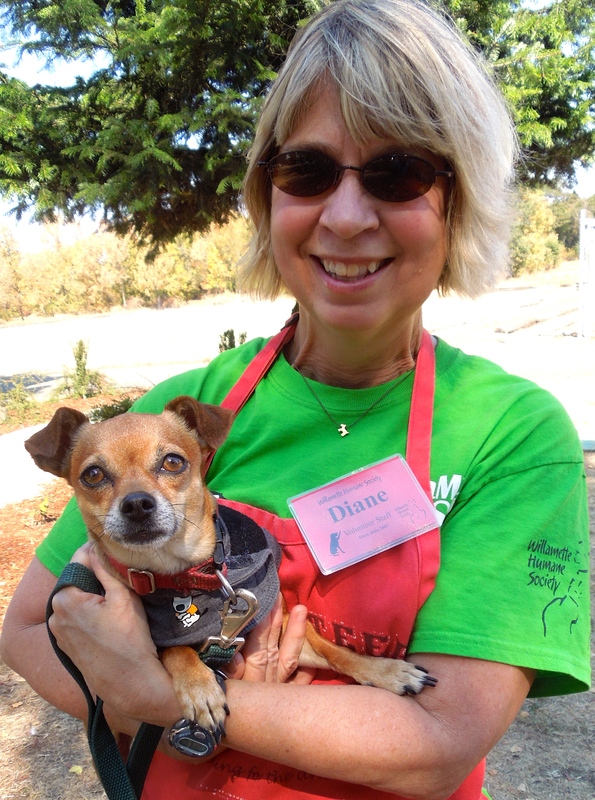 Diane enjoyed spending time with Ginger on Sunday. 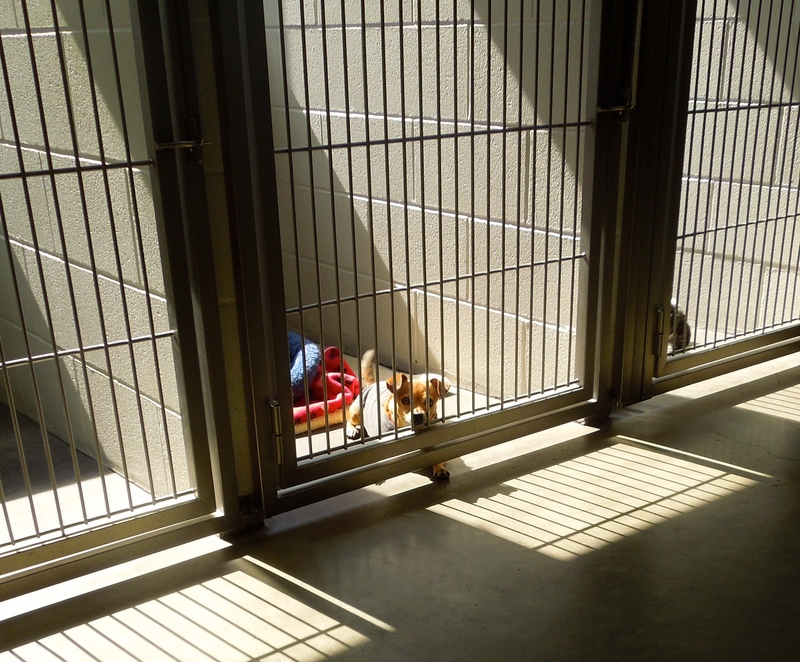 When I was about to leave for the day, I happened to glance into the Small Dog room and saw her looking longingly at me. I wished I could take her home. 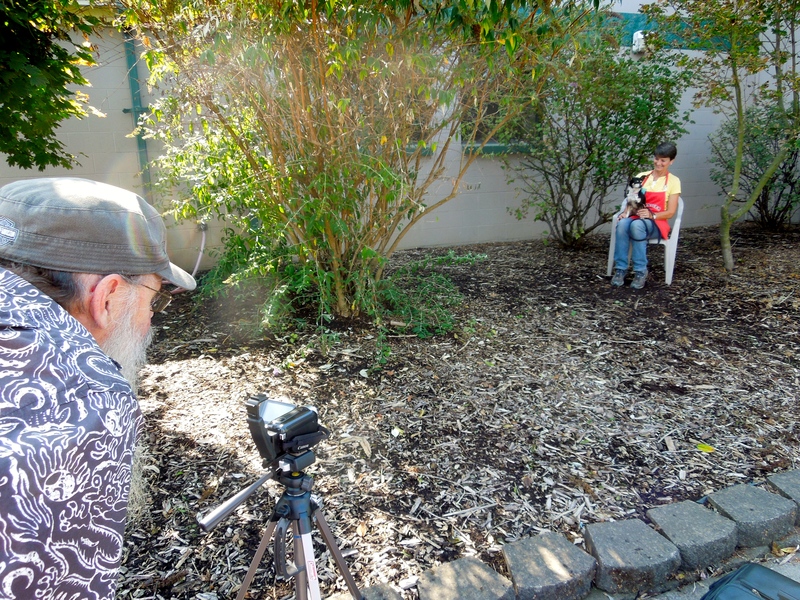 Every Sunday afternoon, volunteers Tom and Nancy film the “Adoptable Pets” segment for TV and the WHS website. 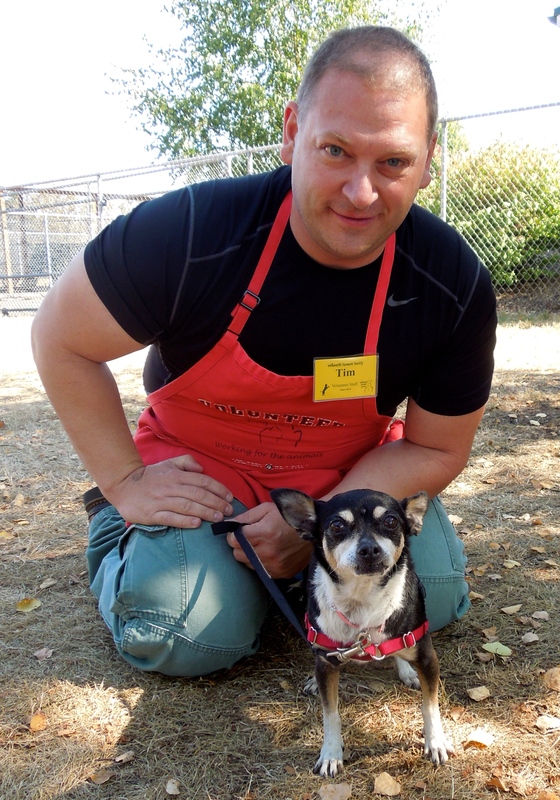 This week, along with several other dogs, they were featuring Fiona, a ten-year-old Chihuahua mix. Fiona is eager, active and as you can see, a lapdog. 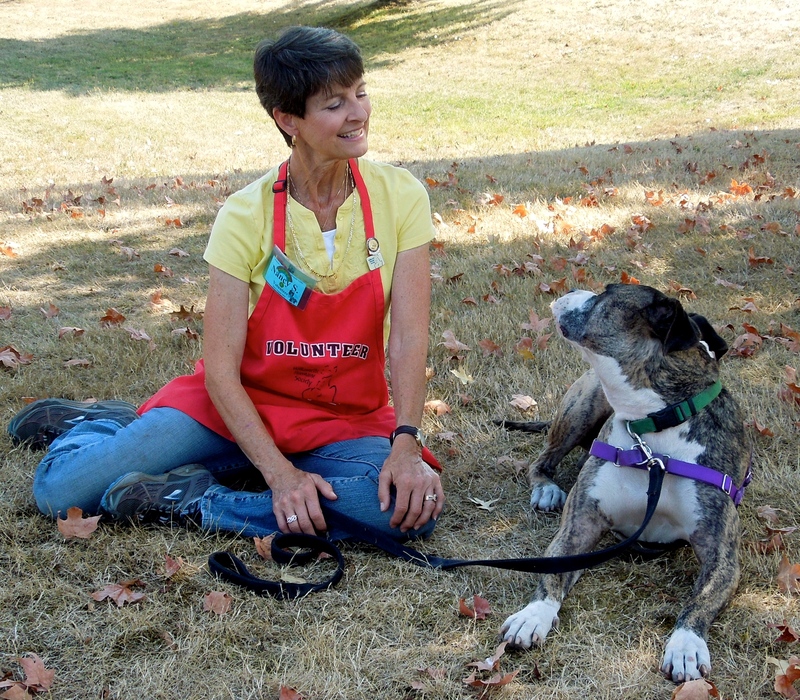 She is house-trained, affectionate, and now a TV star! 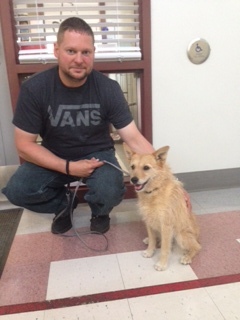 Here she was with volunteer Tim later in the afternoon. I’m ready to be an indoor dog with a new family! 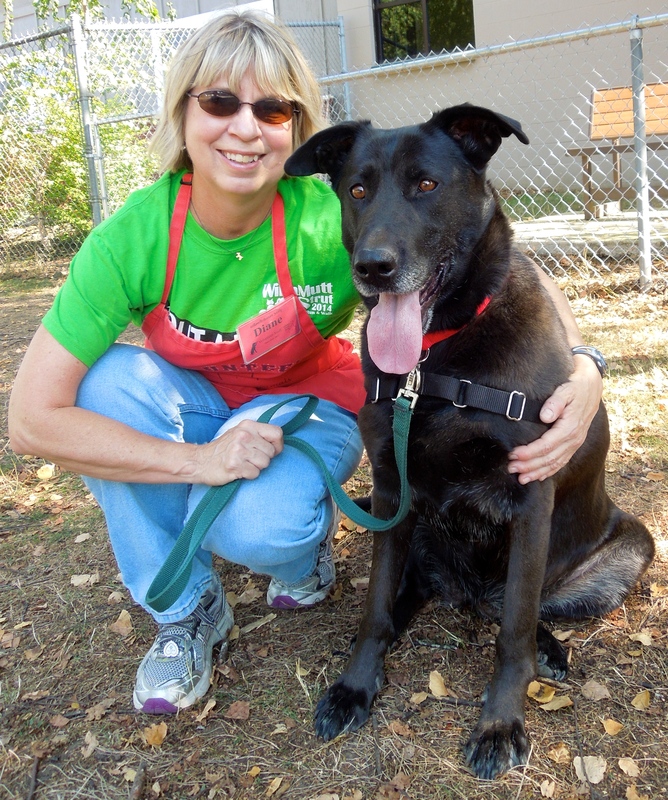 Sarah is a six-year-old Lab/German Shepherd mix. 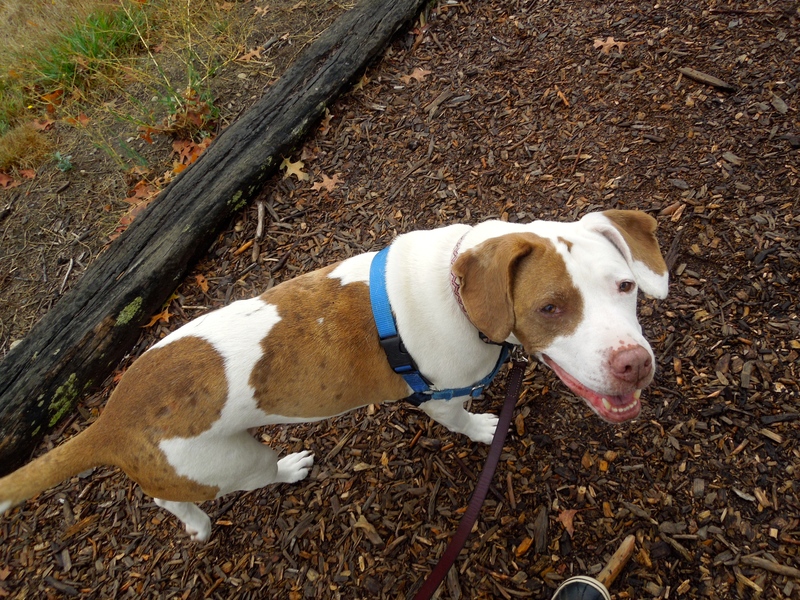 She has been an outdoor dog most of her life and is hoping for a family who wants her to be more of an indoor dog! She is very friendly, likes to please and took my treats politely. She would love a home where she could go for walks around the neighborhood with her person, then settle in for the evening at their feet (or on the couch next to them?). 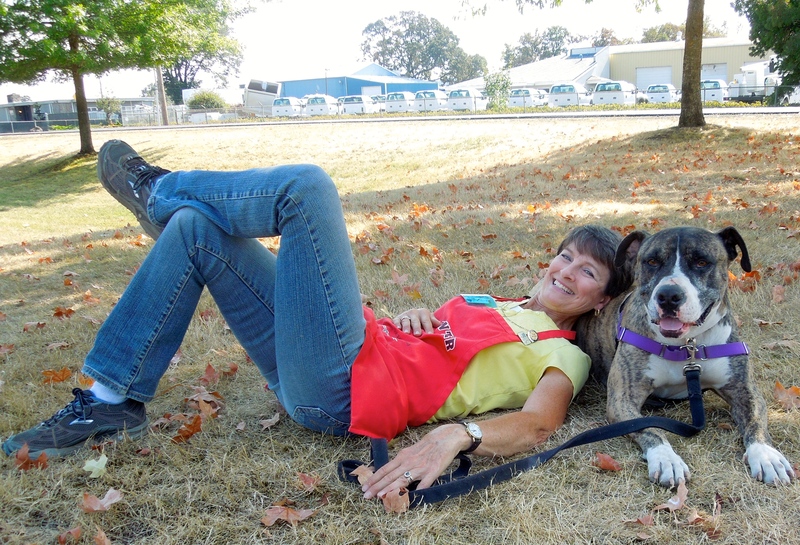 Diane fell in love with this sweet girl and we both hope she’ll be lounging with her new family very soon! 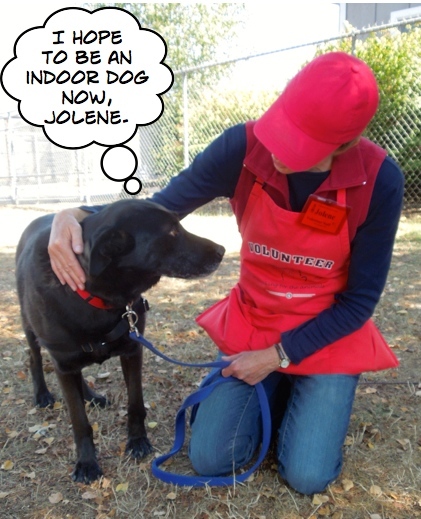 Sarah told Jolene what she really wants. Buddy and his Fan Club! If you are a regular reader of my blog posts, you know Buddy well. 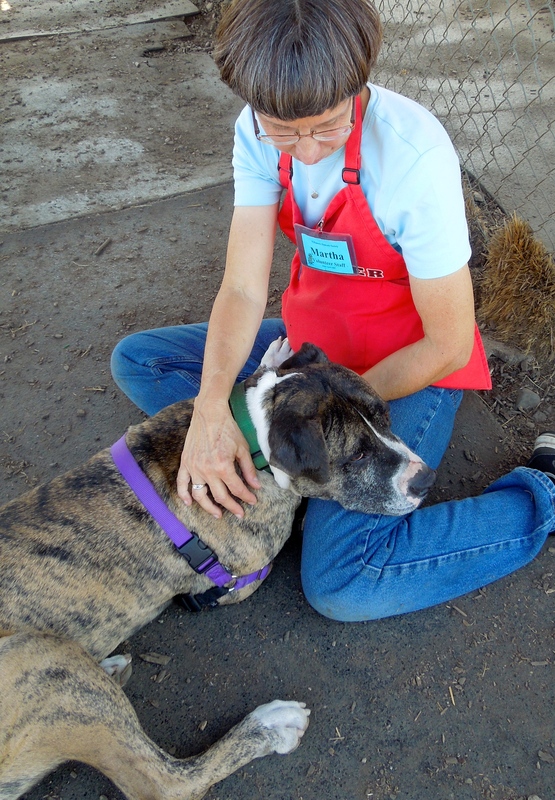 This 73-pound Bulldog/Boxer lapdog has been a favorite of mine and many other volunteers for months. 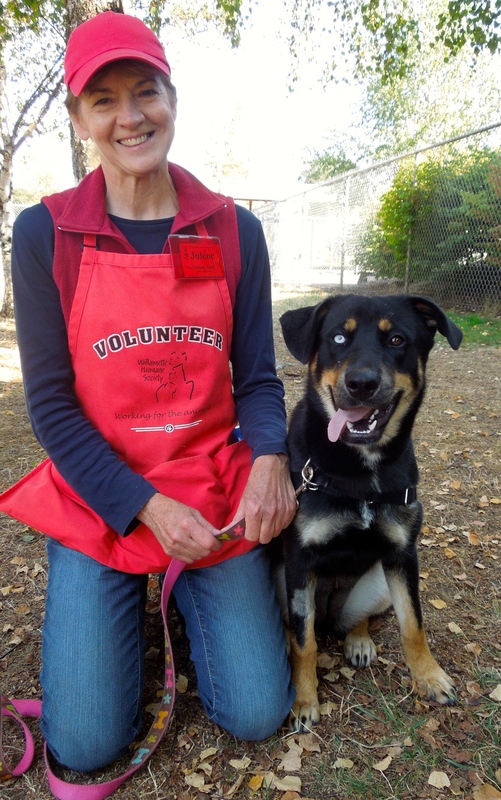 Buddy has come such a long way and is now considered one of our “helper dogs” in play group. 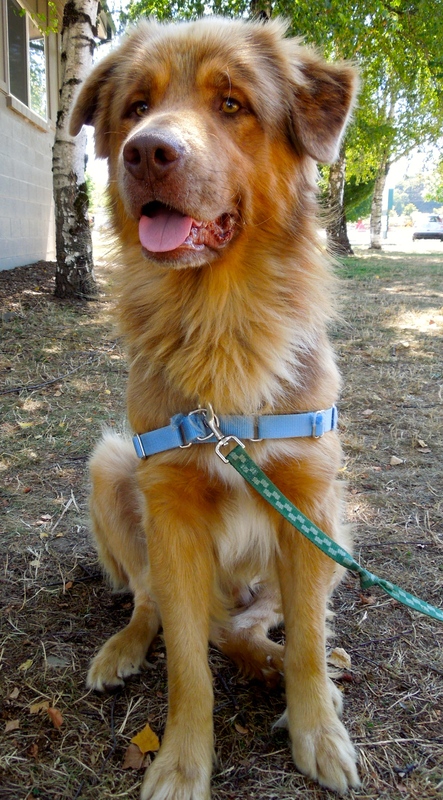 He walks beautifully on leash, takes treats gently, knows several commands and is house-trained. WHY isn’t this boy in a home? It’s a mystery! 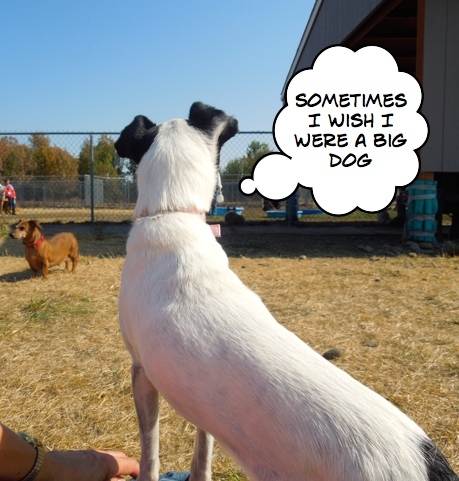 But don’t worry that he is pining away with lack of attention while he waits for a forever family. Here are just a few pictures of him with members of his ever-expanding fan club. 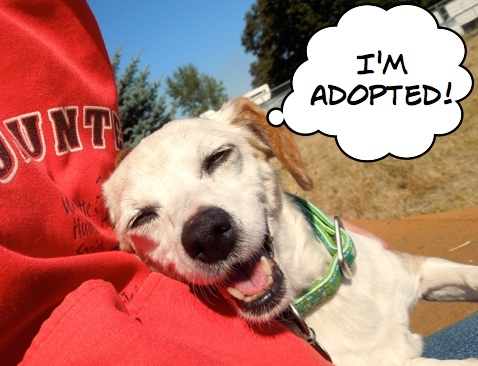 Can’t wait until the time I can tell you this wonderful dog has found a loving home. I’m ready for adventures with YOU! 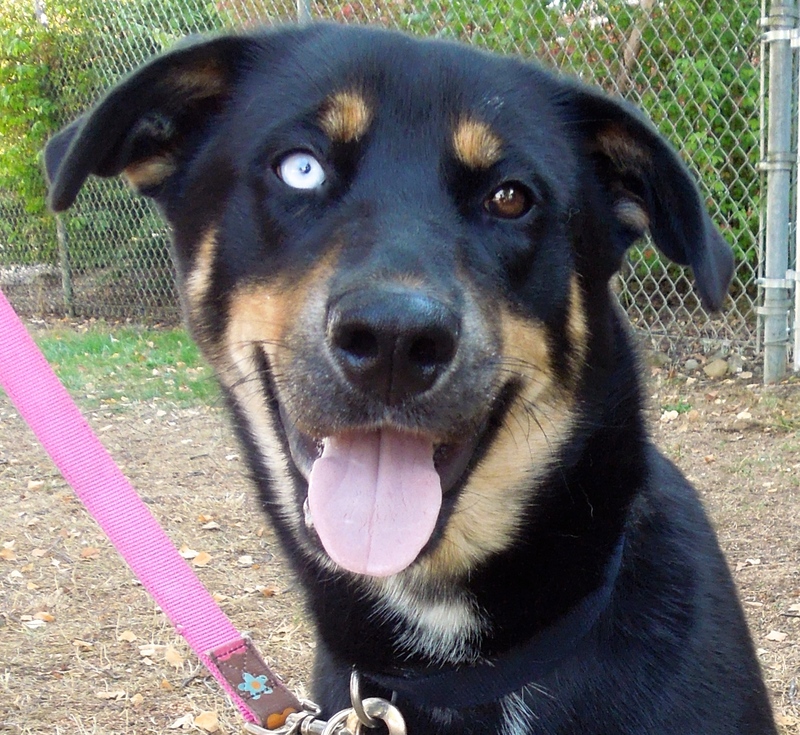 What do you get when you mix a Rottweiler and a Siberian Husky? Well, you get one brown eye and one blue! 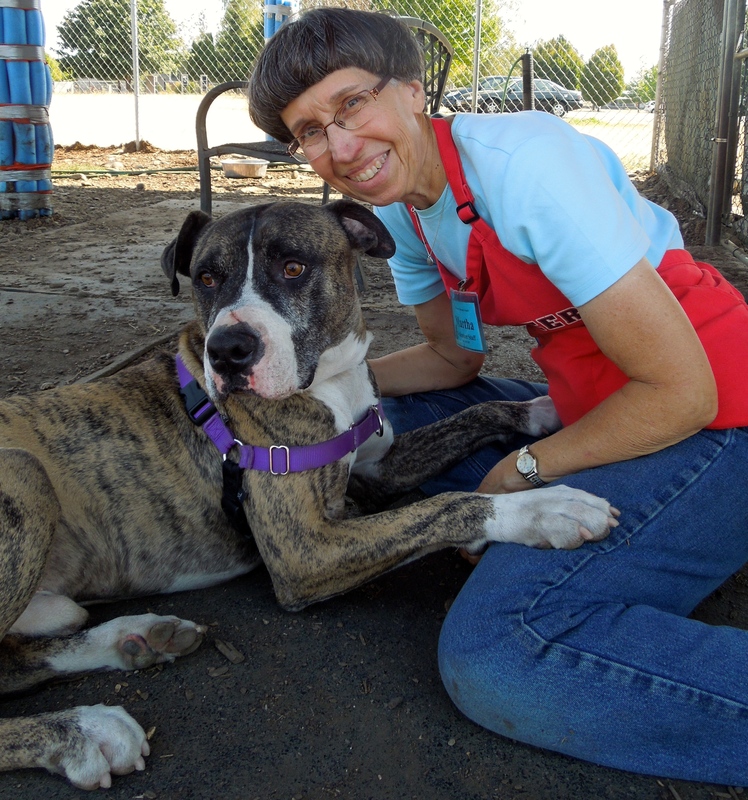 Meet Blueberry, a one-year-old, fifty-five pound bundle of energy and love! Since she is still a youngster, she’ll need a family who will take the time to continue to teach her manners. Blueberry loves people and is very food-motivated, so learning new things will be a blast for her. Because of her size and youth, older kids would be best for her family. Here she is showing that she already knows the command “sit” with Jolene. I’m ready! I’m ready! Let’s go home! 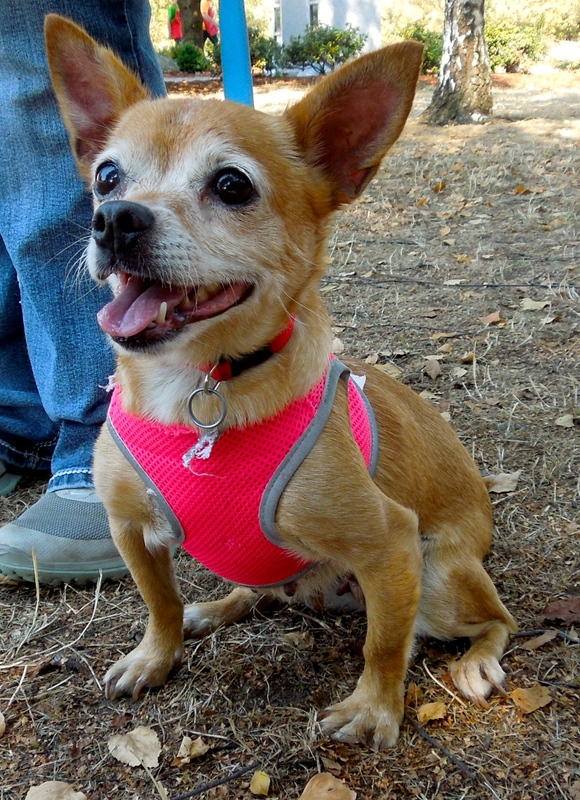 You can’t help but smile when you meet Peaches, an eight-year-old, nine-pound Chihuahua mix who is a very happy girl. If you’re looking for a new family member who will always be brimming with joyful love, this is the dog for you! Here she was with Caroline on Sunday. I’m new here. I’m hoping to get a forever home really quickly! 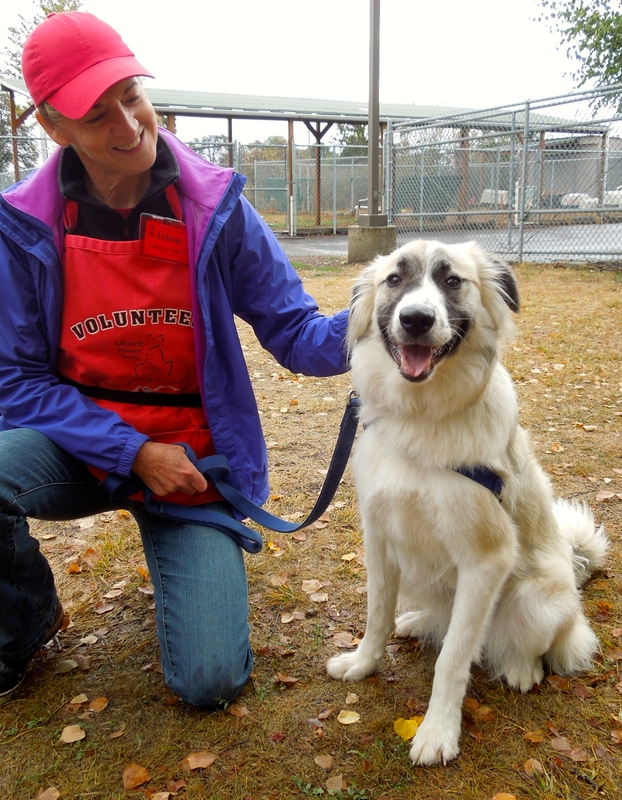 This beautiful girl is a nine-month-old Anatolian Shepherd/Border Collie mix named Grell. She is eager and active. 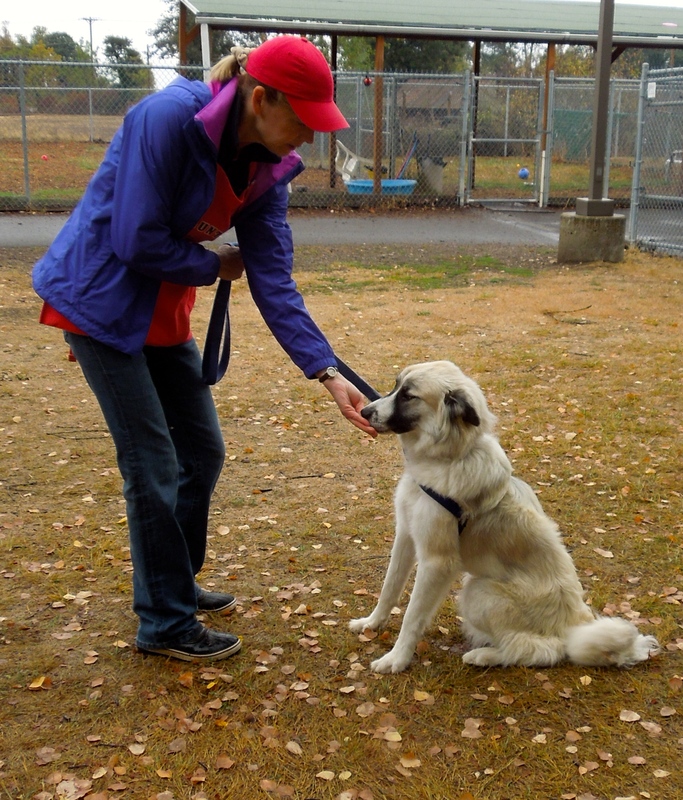 She loves people and did wonderfully in her first play group with other dogs. She does get too excited when she sees other dogs while on leash, so will need some training in this area. 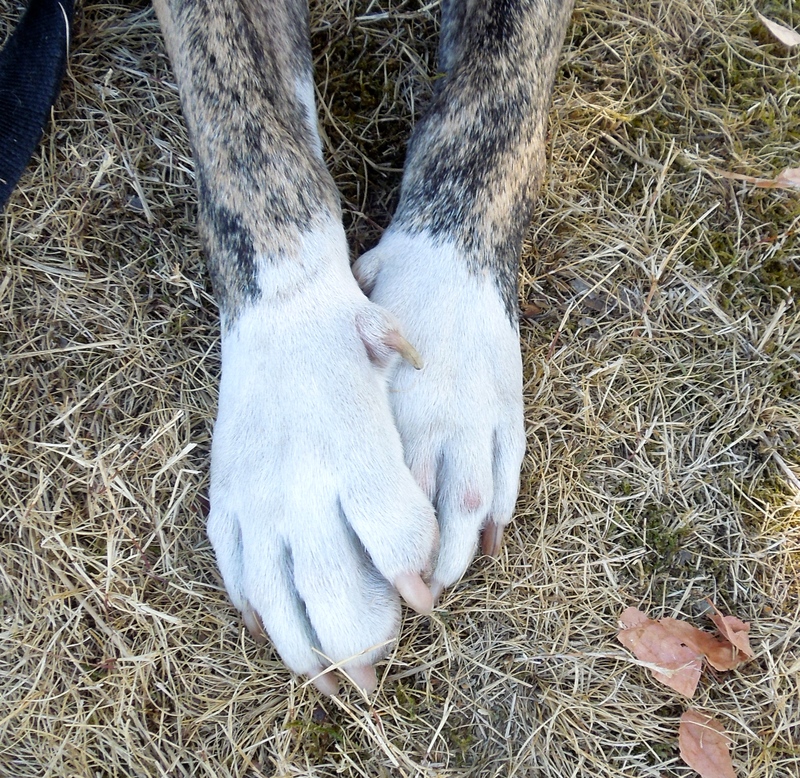 But Grell is very treat-motivated and took my hot dog bits eagerly but very gently. She is crate-trained already and knows some basic commands. I have a feeling this beauty won’t be at the shelter for long. Jolene enjoyed spending time with Grell today. You want a dog who walks nicely on leash and checks in with you as you walk her. She should be house-trained. She should take treats politely and know several commands. 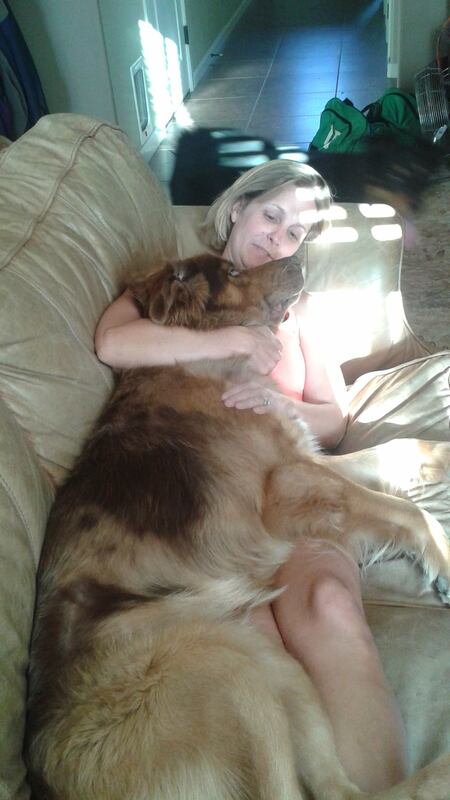 You want a dog who loves people, including kids, is gentle and likes to cuddle at the end of the day. You want a dog who stops at doors, sits, and waits for you to invite her to go through them. This is what you want? Well, then this is the dog for you! 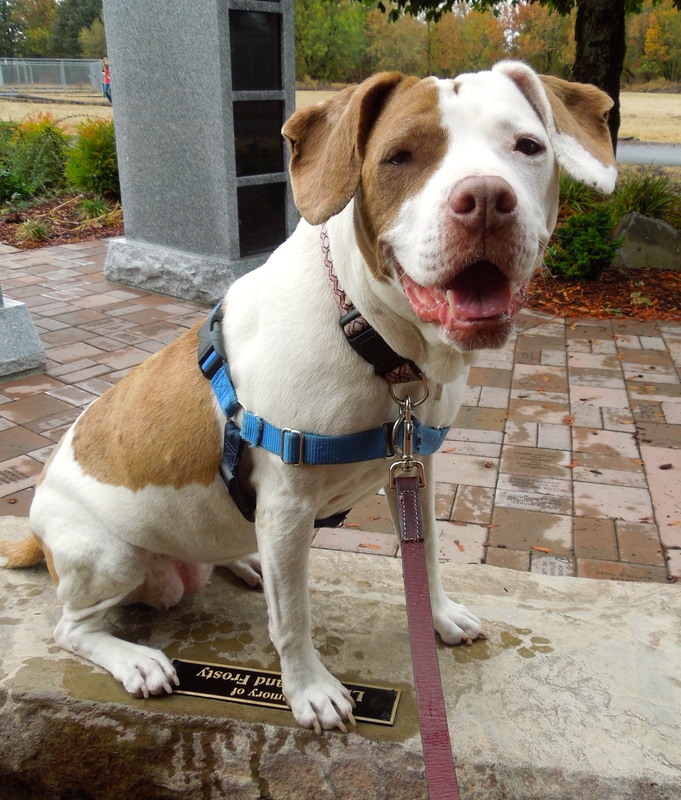 Meet Lacie, a seven-year-old Pit Bull/Beagle mix who loves to prance and does the cutest little dance with her front feet when she’s excited to see someone…which is every time she sees someone. Lacie hasn’t had the best life so far. Twice she has been at WHS after being found as a stray. She is really hoping that she can finally get a loving forever home. Lacie would like to be an only dog and doesn’t care for cats. 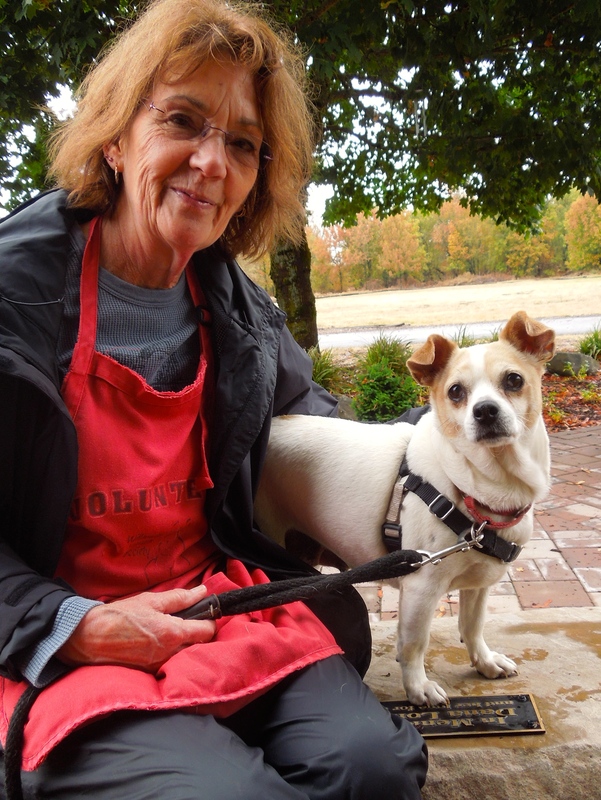 But she will bring joy, laughter, and love into any family who adopts her. Here she is checking in with me during our walk today. This is her pathetic look while getting a bath from Marianne after our walk. She wasn’t thrilled with it, but accepted it stoically. We’re so hoping this sweet girl will be found by a terrific family. 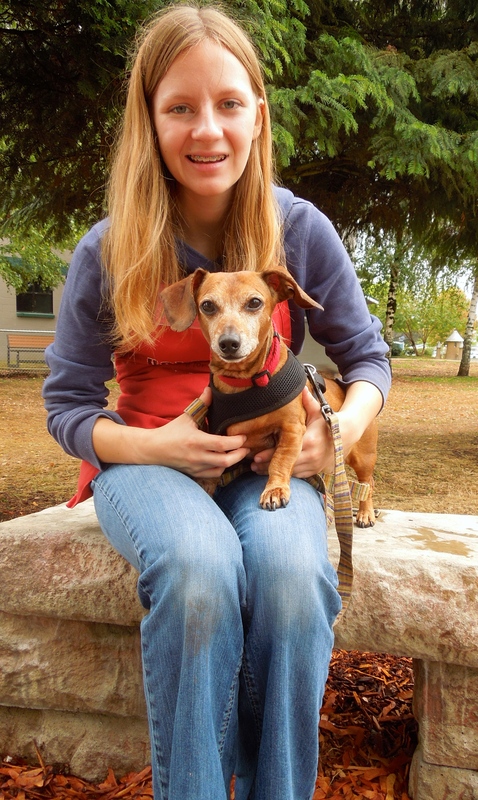 This little guy’s name is Oscar and he is a ten-year-old Miniature Dachshund. Oscar loves all people, including kids. 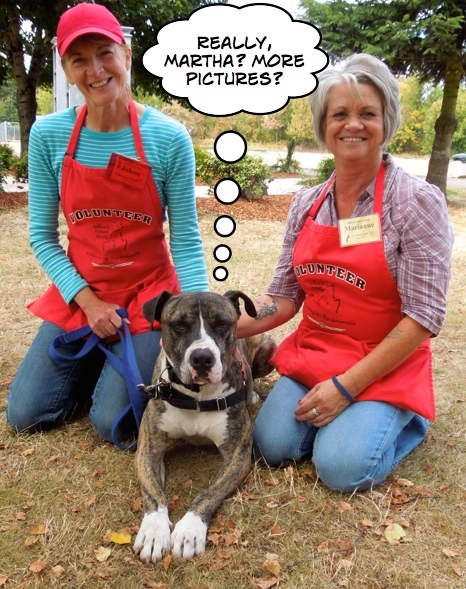 He has enjoyed play group with other dogs and is quite the lapdog. He won Emelynn ‘s heart with his perky, bouncy personality. He is very treat-motivated, which brings up his only issue. Weighing in at 18.6 pounds, Oscar really needs to shed a few pounds through exercise and diet. 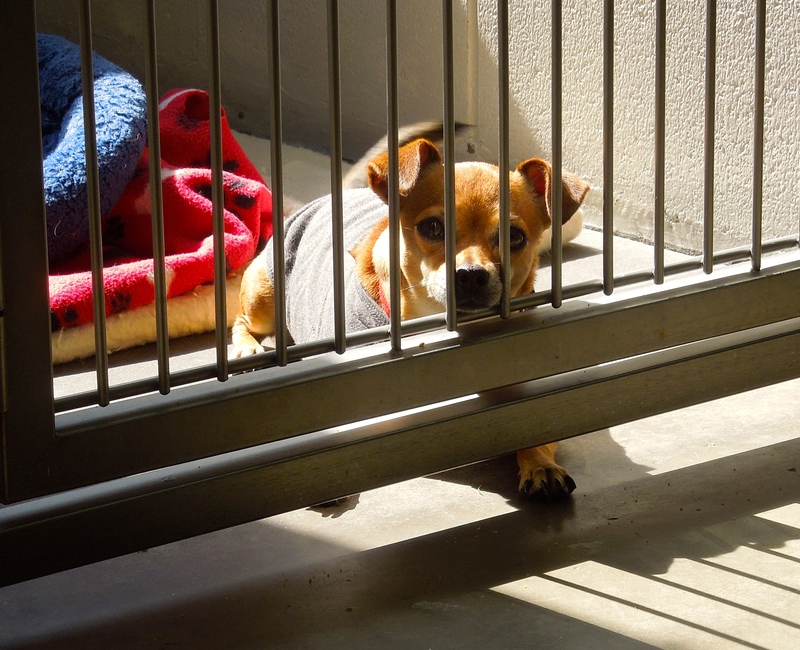 Oscar will be a wonderful addition to a family looking for a small, happy little dog. I’ve been waiting for awhile. I hope my new family will find me soon. 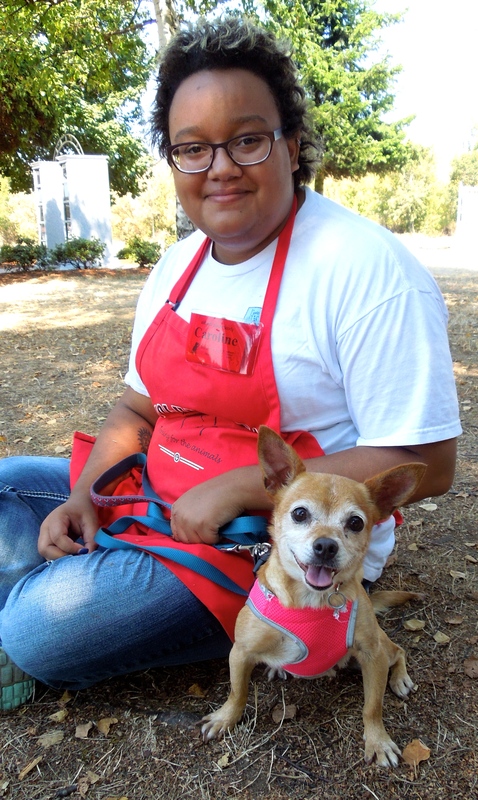 Daisy is an eight-year-old Beagle/Chihuahua mix who came to us as a S.T.A.R.T. dog from California, so we don’t know her history. 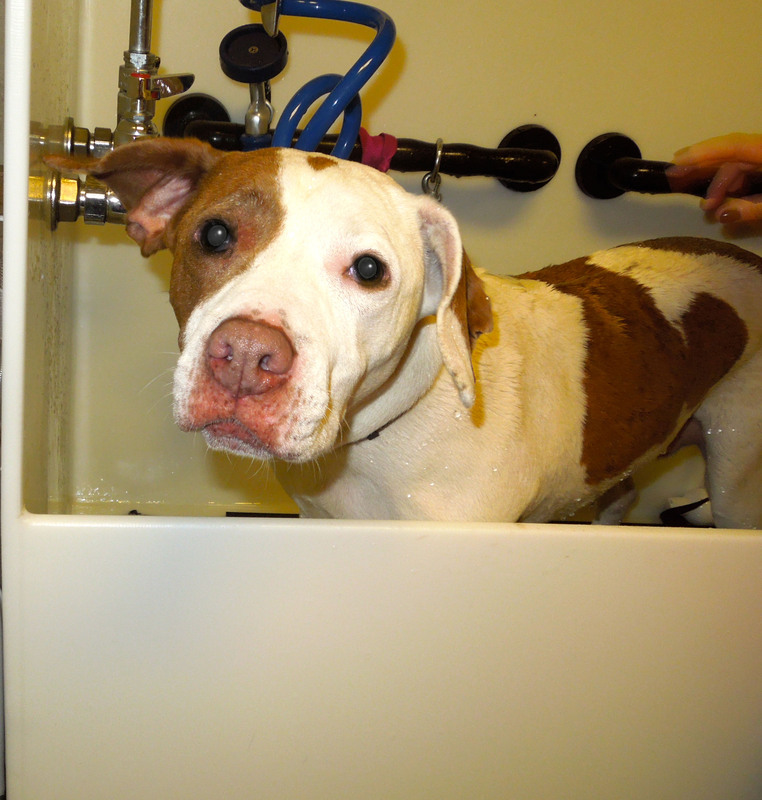 What we do know is that she is a shy, sweet girl who seems to have been overlooked by potential adopters. Daisy is very quiet and would do best in a calm home with adults or with older kids. She is nervous around hectic activity. She likes to go for walks, but isn’t a big fan of play groups. 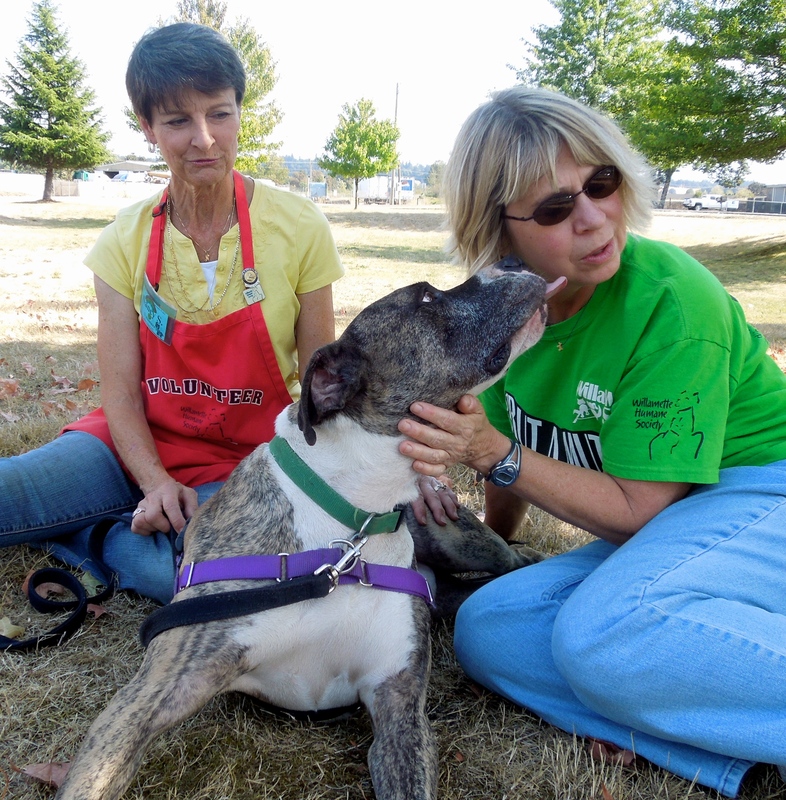 She feels overwhelmed when put in a yard with lots of other dogs and would prefer just hanging out with her people. 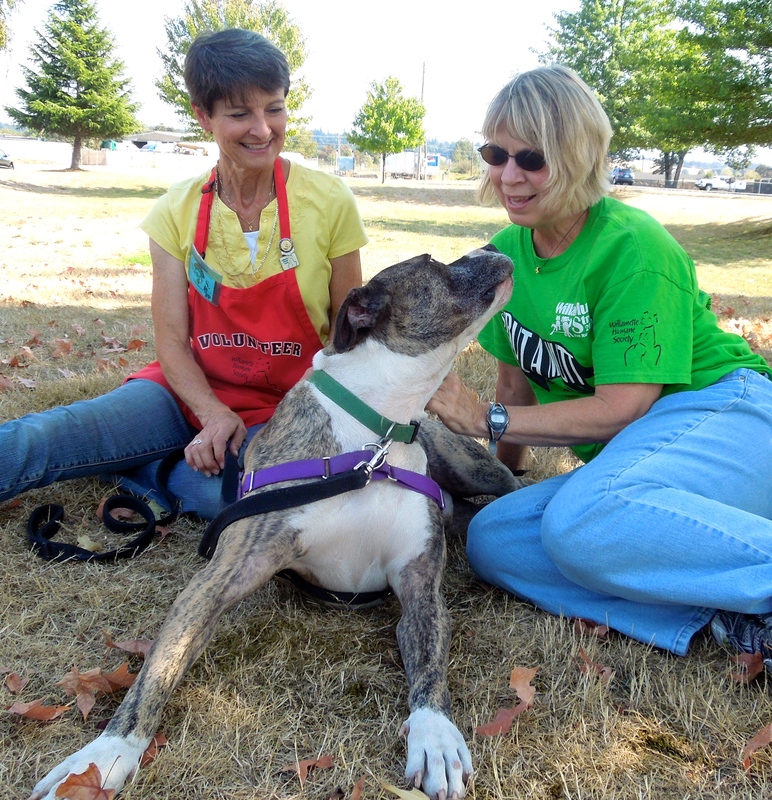 I called Marla at the last minute today when I needed a sub walker and she enjoyed spending time with Daisy. 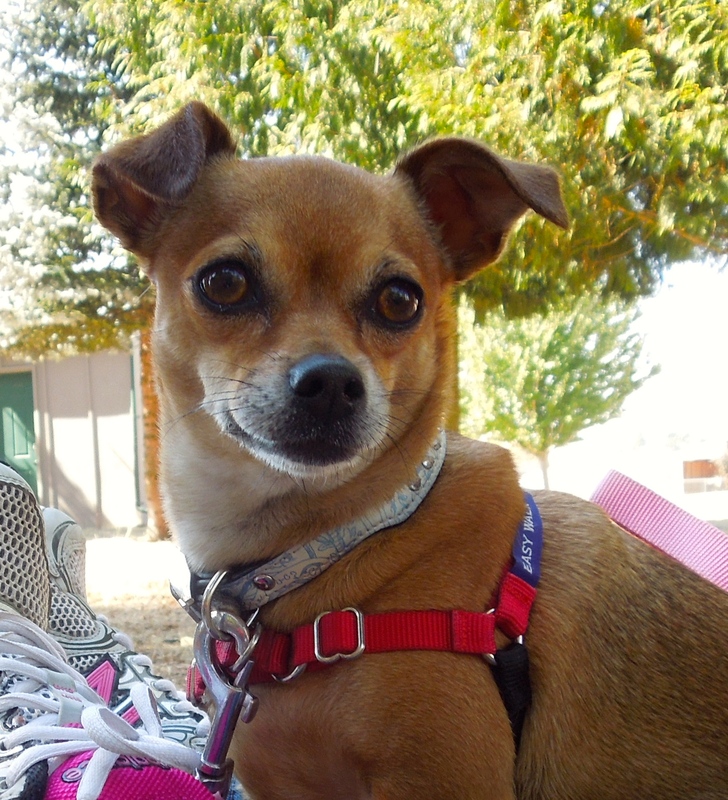 We’re hoping Daisy will be found by a new family this week. Remember Gryffindor, the gentle giant? His family sent me this picture last week. No words needed. Any doubt this boy is loved? That’s it for this week! I’ll post again October 15th! 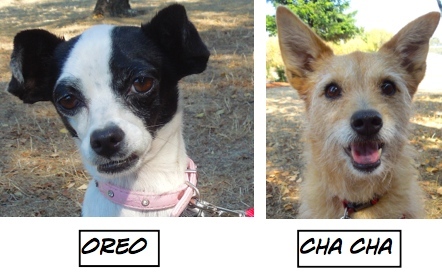 Several big awwww’s for this week’s group of blog dogs. And hooray for so many adoptions! 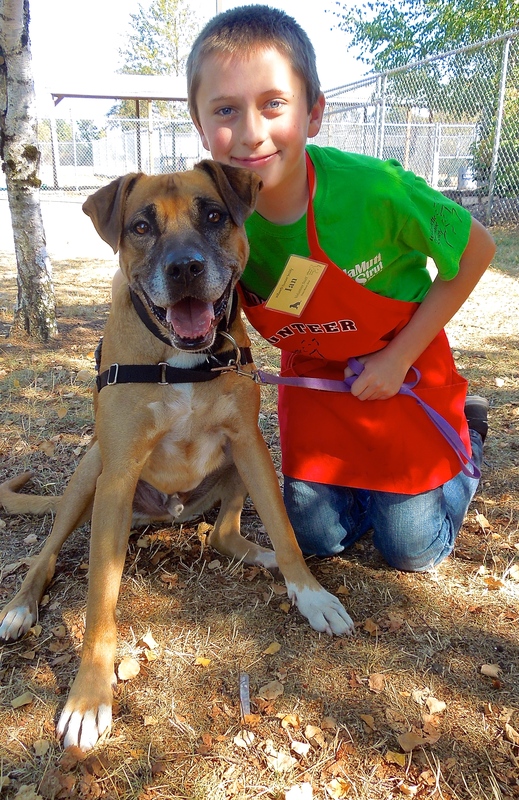 Boy, Buddy should be adopted soon by anyone seeking a dog and seeing the great job you did showing his qualities! 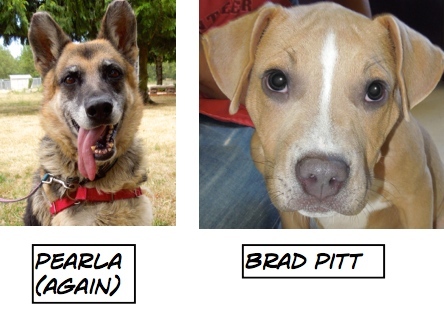 Was just at WHS yesterday and a couple of the featured dogs above are already on hold. I sat with Rocky a while, and once he warmed up, was so sweet. He’s still a little cautious at first, but just needs a bit of trust to be comfortable.